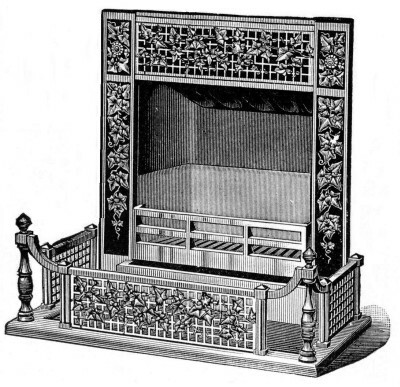 I’m not sure how much room would have been left for wood, but this fireplace grate drawing shows just how elegant some homes during the turn of the last century must have been. Instead of a plain brick and mortar fireplace, open to the room, home owners could have this combination grate and furnace. Just look at all of the decorative detailing in the metal. It is doubtful these were mass produced. Each one was likely made by a number of talented artisans working together. It was available in a variety of designs and metals ranging from iron, steel, nickel-plate, electro-bronze, solid brass or bronze.